There were three cards created at my Cards, Etc. class this past Monday. Participants made the card from my June Stamp of the Month Blog Hop post (here) and the following two cards. 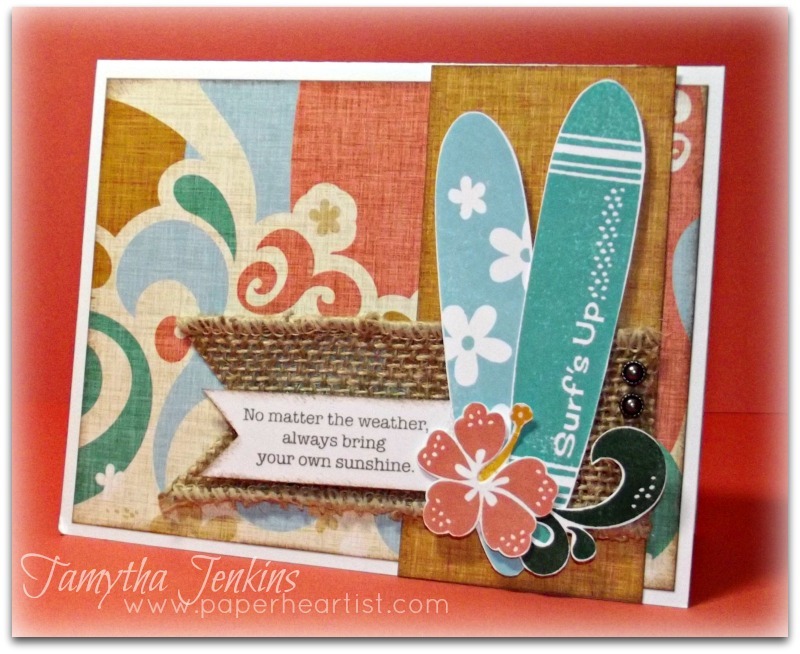 These two cards used papers from Close To My Heart's Surf's Up paper line. This card was inspired by this sketch at Retro Sketches. 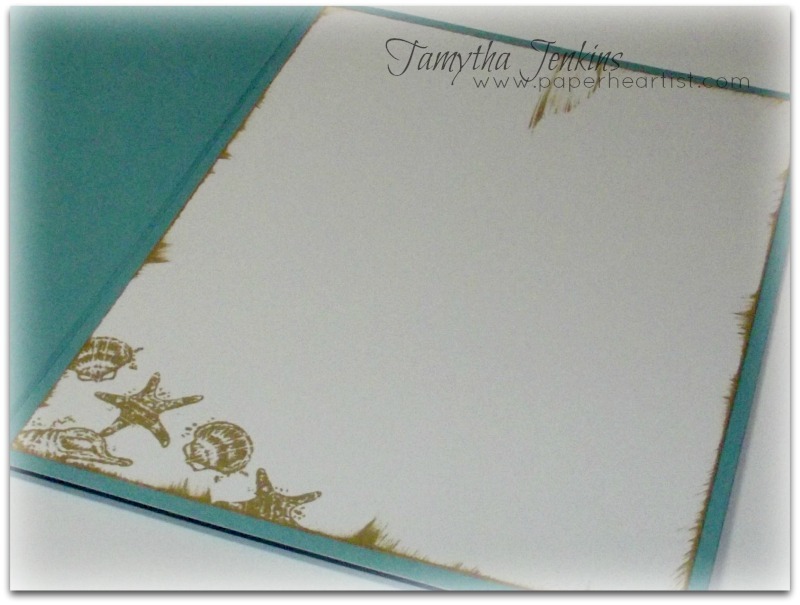 After stamping the linen image in crystal blue, I distressed the card face with a sanding block. This card was inspired by this sketch at 365 Cards. I created the fringed burlap by cutting about 1/4 of the ribbon off and then pulling out the threads until I was about 4 or so threads from the opposite edge. Do you ever have those moments where you're so proud of yourself and think, "I'm so clever!" LOL After playing around with the banner...using buttons, twine, artisan studs, etc., I ended up taking one of the strings that I had pulled out of the burlap ribbon and tying it several knots in order to create a big knot. 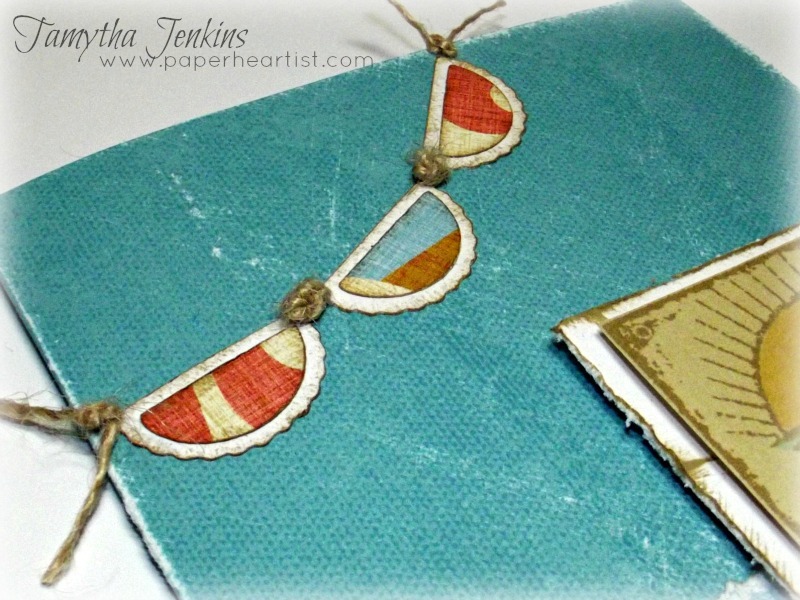 I then glued the knot between two of the banner panels and voila! I fell in love! It was exactly what the card needed to pull it together nicely. I used direct-to-paper to ink the edges of the insert. 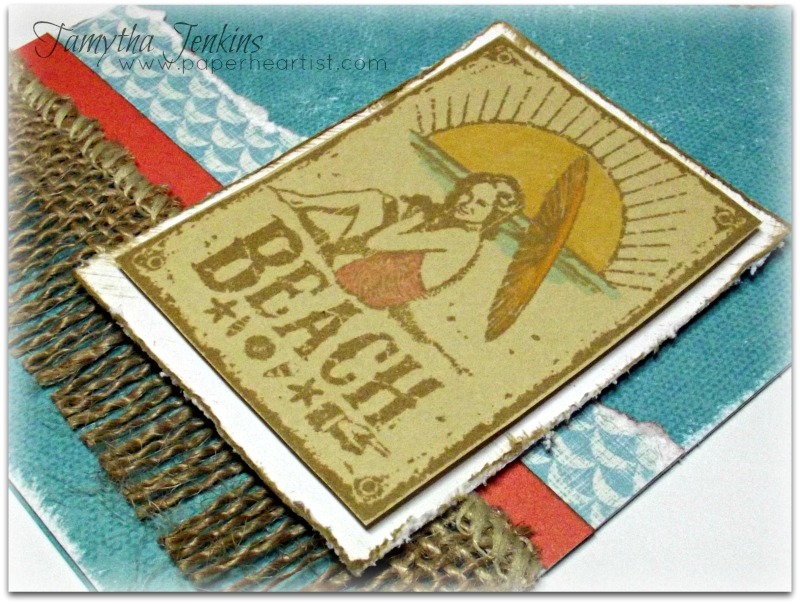 I love the banner you created and that burlap ribbon fringe is soooo cool!! 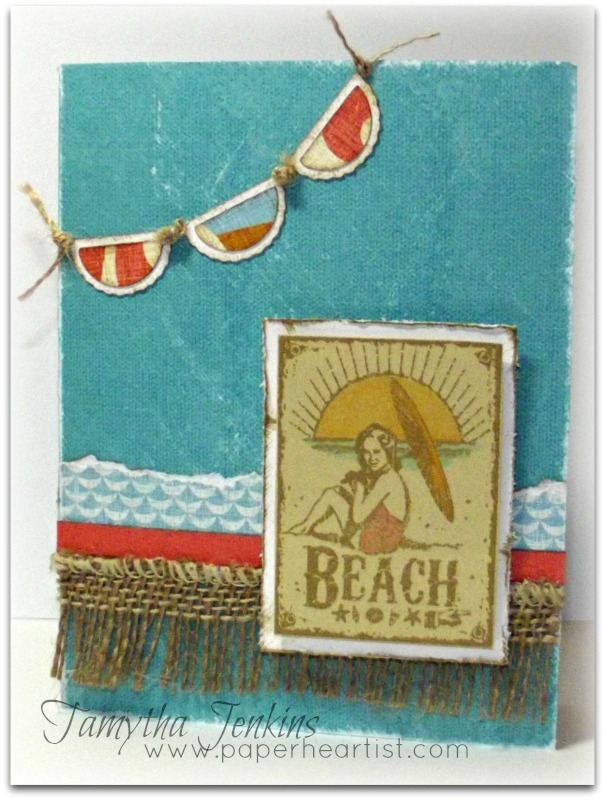 ohhhh LOVE the beach card!!!! and cool burlap you added!!! sooo glad you played along with 365 Cards this week!! !